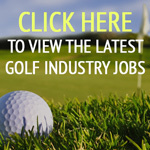 We are told regularly that golf clubs have struggled with an image problem for quite sometime. Old, fuddy-duddy, expensive and time consuming. Managers have replaced secretaries, revenue streams have been found in spas and weddings, and many have just muddled through by increasing footfall with cheaper green fee rates inevitably through internet booking sites and generally down-selling their brand. But have golf clubs realised their potential and adapted to today’s marketplace effectively? It’s a difficult proposition when your membership is fundamentally ageing and they’re the only ones who can afford the time to play two or three times a week. The golden goose for growth is of course the youth of today – attract them and all will be OK.
Quite apart from the historical impatience demonstrated by this analogy, there is a certain irony in the thinking. Dementia is now the biggest killer in the UK, and with the organisation and structure of social care in turmoil (the latest promised parliamentary Green Paper on change has been delayed for almost a year now), if you are in your early teens and have just learnt how to lose a decent Pro V1, the chances are that you won’t have enough time to play golf because of caring responsibilities for your parents in a few years’ time. Residential dementia care home for mum or dad at £30,000 to £80,000 per annum or golf club membership at £1,500? Interesting choice. So what do clubs do? Panic a little bit perhaps or shut up shop maybe. There are plenty of examples. Just like pubs, golf clubs have relied far too long on a membership that owes them nothing and they have done little to protect or expand their brand in their local communities. Social responsibility is the key message here. Golf clubs should be demonstrating a much more socialised conscience in our communities to ensure longevity. That’s where the attitudes of social entrepreneurs like Anthony Blackburn kick in. 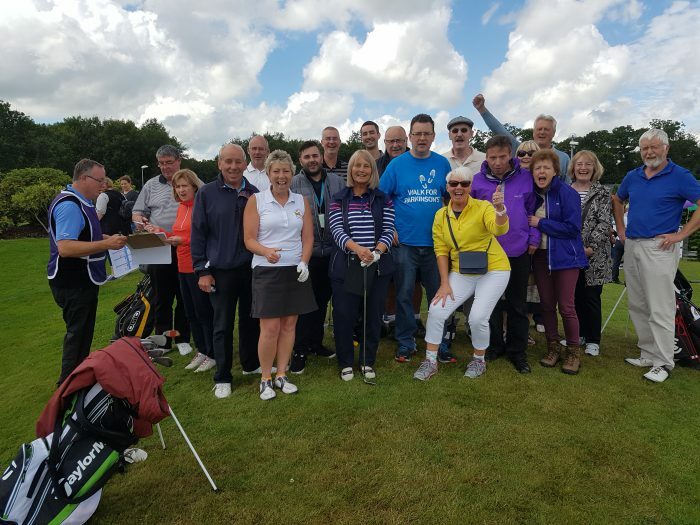 He has been running ‘Golf Days Out’ through his organisation Golf in Society for nearly four years now and is at the very sharp end of the benefits of golf to people living with dementia and Parkinson’s disease. He is well aware of how golf clubs try and serve their communities and many do so successfully but he insists that clubs are missing a trick. 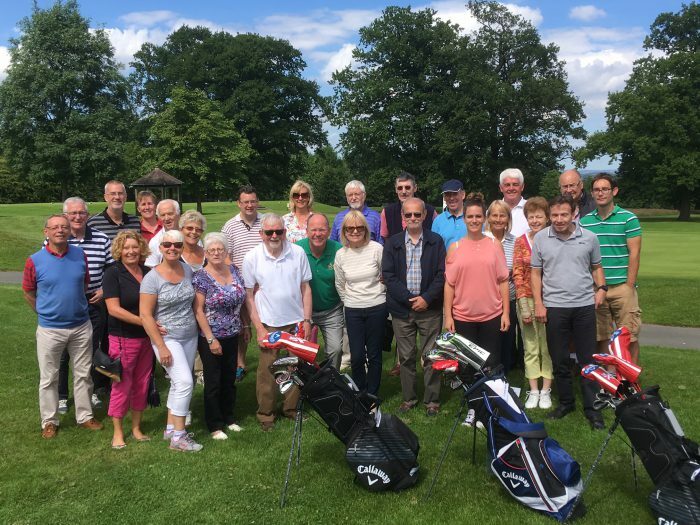 “Golf clubs are, by their nature, fun places to be at so it is easy to assume that all who attend are at ease with the world and therefore the club is serving the community well. I think perhaps that there is a body of people who, for all sorts of reasons, aren’t being encouraged enough to either start golf or get back into it. Clubs can take a leading role in this,” he states. It is now clinically well perceived that the early gestation stages of dementia can be delayed by good diet, regular exercise and mental stimulation. It is no surprise that government agencies are becoming very interested in activities that are cheaper to implement than handing out drugs to alleviate the effects of our largest killer. 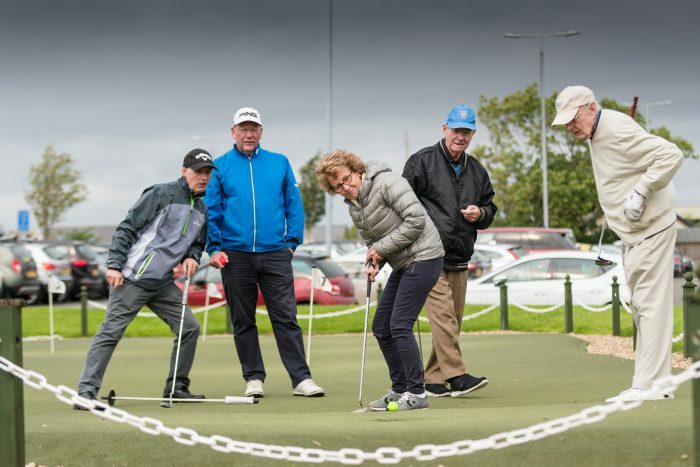 Golf clubs tick many boxes in this arena because the facilities already exist, professional staff can easily be trained simply and cheaply with Golf in Society’s ‘Community Golf Activators’ (CGAs) programme and the clubs enjoy increased revenue from the sessions. The clubs already involved endorse Anthony’s vision for the future of golf involvement in community support by some of their comments, especially when it comes to some interesting benefits. 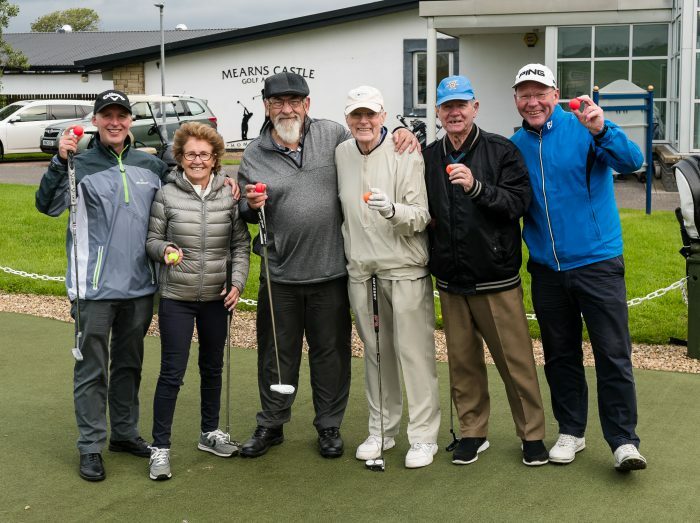 Brian Logan, managing director of Lincoln Golf Centre, lost his 94 year old father-in-law to dementia (“it’s a very lonely disease”) and is proud to be involved with the initiative and has been pleasantly surprised how the Thursday sessions have become their second busiest day of the week through food and beverage turnover from being one of the quietest. 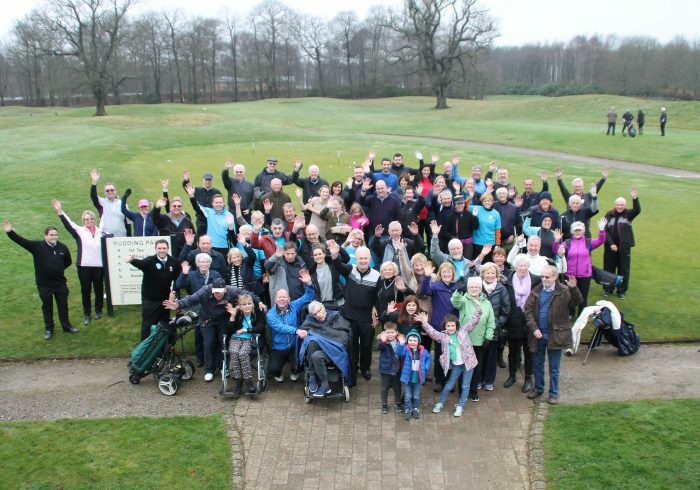 “People come down here with their carers and our members take them around the course. It’s great to see them comfortable and relaxed and the carers get some much needed respite,” he said. Russell Gray, golf club manager at Mearns Castle Golf Academy near Glasgow, goes even further. 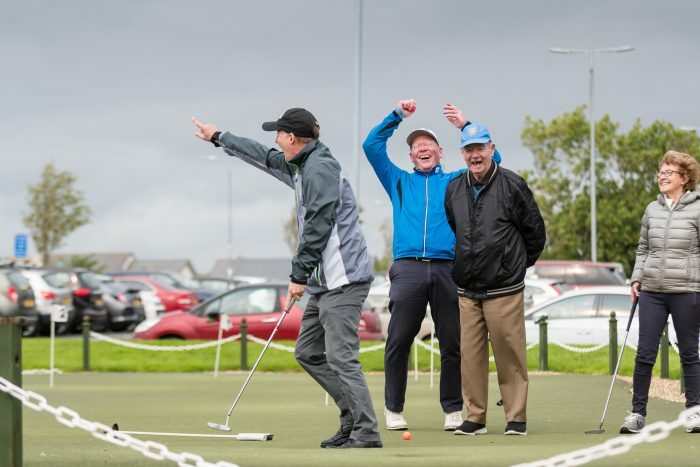 ”When we were first approached to facilitate the dementia in golf project we were delighted – a great project – offering a great service to local people living with dementia. “To see so many of them come through the door at the start of the programme, lacking confidence and self worth, to now seeing the participants full of joy, socially responsive and in general, in a better place, is incredible. 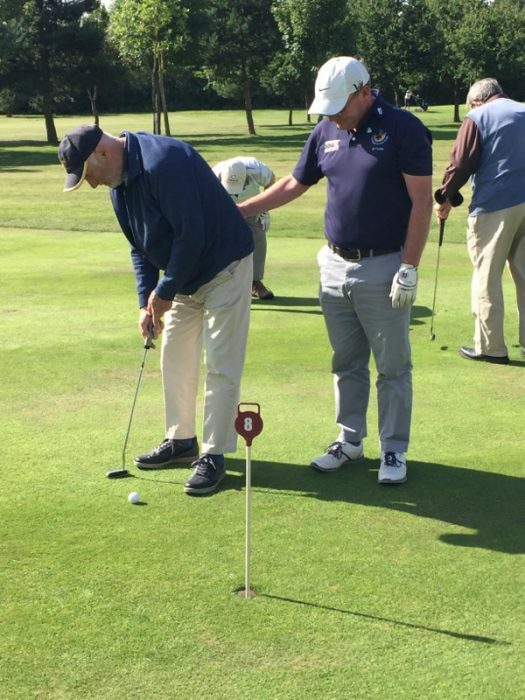 Anthony and the volunteers are incredible to watch; their patience and understanding encourages great responses – suddenly we can see people with dementia re-engaging with golf, using the facilities with their old golfing friends and family. For 2019, Anthony welcomes the Rules of Golf changes but has a slightly different take on how golfers and clubs can improve things. “I have always believed that the more you put into something, the greater the benefits in the long run. I was diagnosed with Parkinson’s disease nearly 4 years ago, at age 51. I had a stooped posture, tremors, muscle stiffness, sleeplessness, and slow movement. I was placed on Sinemet for 7 months and then Sifrol and rotigotine were introduced which replaced the Sinemet but I had to stop due to side effects. I was in denial for a while as there is no history of PD in my family. I also used amantadine, and physical therapy (golf) to strengthen muscles. The more natural approach means I feel alive again!! Hi Laurel. Testament to your words is that we had a session @ Rudding Park on Wednesday with 27 PD golfers. 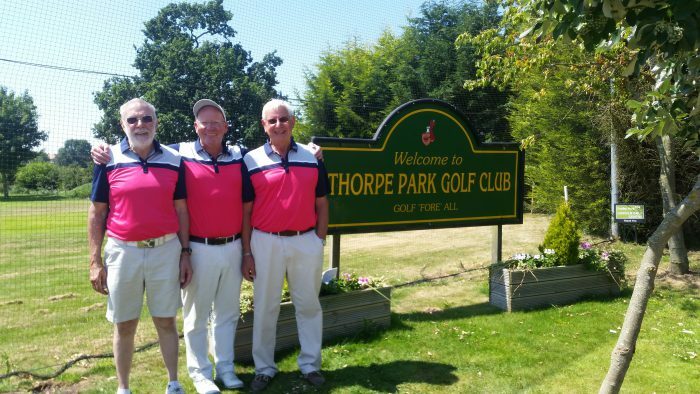 We all had another great day of golfing & socialising in the sunshine. After my Parkinsons Disease diagnosis, i was on Carbidopa and Pramipexole for two years, as the disease progressed my symptoms worsened, with my neurologist guidance i started on natural treatment such as walking via golf which worked very effectively for my Parkinson’s, i feel better now than I have felt in years and i can feel my strength again.